From popular winter sports such as skiing and snowboarding to warm-weather pastimes like fishing and golf, Big Bear is as renowned for its variety of recreational opportunities as it is for its idyllic climate and setting. Between the fresh mountain air, impossibly gorgeous views, elevations that will get your blood pumping, and an overall ambiance that will rejuvenate your spirit, Big Bear golf is a one of a kind experience. Experience the perfect balance of leisure, sports, and sightseeing by playing a round of golf at one of the myriad of incredible Big Bear Lake golf courses! Below, you’ll find more information on this peaceful local pastime. Not only is Bear Mountain ideal for snow sports and water sports, but it’s also home to the Bear Mountain Golf Course! Complete with nine strategic holes, the serene mountain atmosphere and challenging terrain make for wonderful playing conditions. Just be sure to wear the appropriate golfing attire on this Big Bear golf course! Men are required to wear collared shirts and ladies simply need to wear clothing that is fit for golf. Just a short drive West, away from the Big Bear Lake area, Lake Arrowhead Country Club offers eighteen generous holes of Big Bear golf, which are situated amongst an idyllic landscape of rolling greens and lush pine tree forests. It is a private club that is located between Mount San Antonio and the Big Bear Lake area, so be sure to call ahead to inquire for additional information. South of San Bernardino National Forest, golfers will find Highland Springs Village Golf Club in Cherry Valley. As you play your way across its nine vast holes, you can take in the forest and mountain sights while you work on perfecting your game. Like Lake Arrowhead Country Club, Highland Springs Village Golf Club is a private club, so you will want to call to learn additional information on tee-times and club requirements. Regardless of where you end up engaging in Big Bear golfing, your body, your spirit, and your golf game will reap the benefits of the increased elevation and fresh mountain air, that is also ideal for strolling with friends or family. 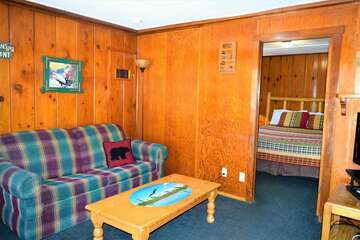 Our cabins are luxurious and immaculately kept. 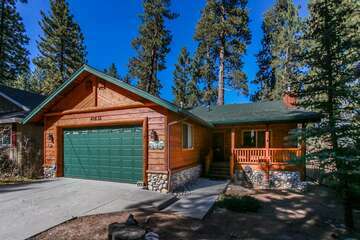 Additionally, they are conveniently located in the middle of Big Bear’s most exciting attractions and invigorating activities, making them the smartest choice when you’re aiming to experience everything that Big Bear has to offer. 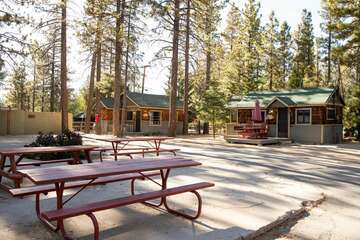 Ask our friendly reservation specialists for additional information on what there is to do and see nearby when you reserve your very own private cabin in the woods of San Bernardino National Forest today!